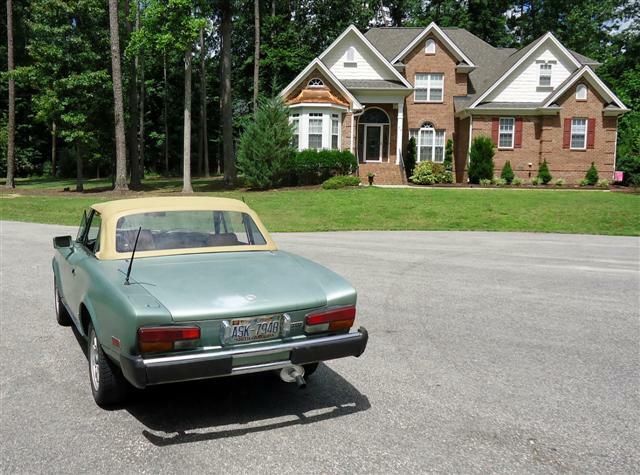 Driving the Fiat Spider for the first time, I quickly noticed the lack of brake pedal pressure. The fluid level was good in the master cylinder reservoir, so the brake system became the first priority in the restoration project. After getting the car into the garage, it was jacked up and carefully placed on four jack stands. The wheels were removed and front and rear pads and rotors were inspected. The brake rotors had no scoring or excessive heat checking. 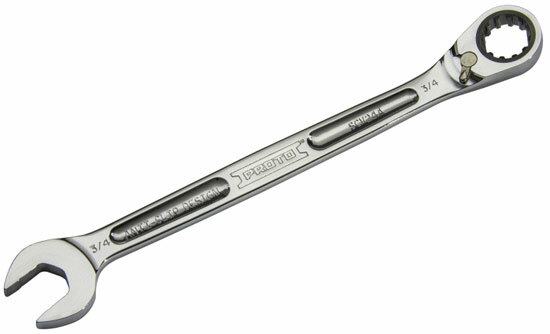 If yours are close to or at the minimum thickness (.35" or 9mm), replace them. It's a probably waste of time to resurface Fiat Spider brake rotors, as they are thin to begin with, and after even a light turn they will be more prone to warping. New rotors are still readily available and fairly inexpensive. The front rotors are the same as the rears. The next step was bleeding the calipers. Starting at the right rear, I noticed the right rear bleeder screw had previously been snapped off, and repaired with a wrong-sized bolt and also drilled out off-center. 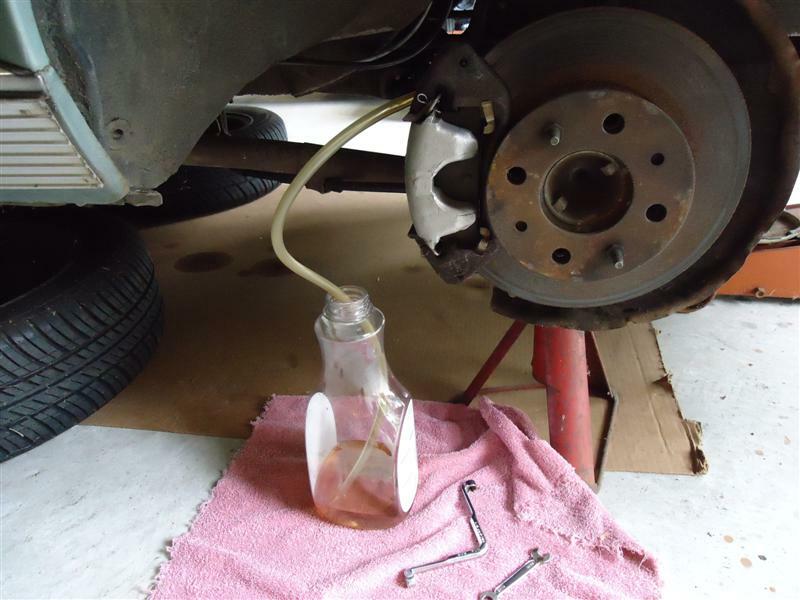 Once I removed the nut, I found there was no brake fluid in it. Moving over to the left rear caliper, I opened up the bleeder screw, and nothing came out of it either. The dust boots on both rear calipers were ripped and full of dirt and sand. 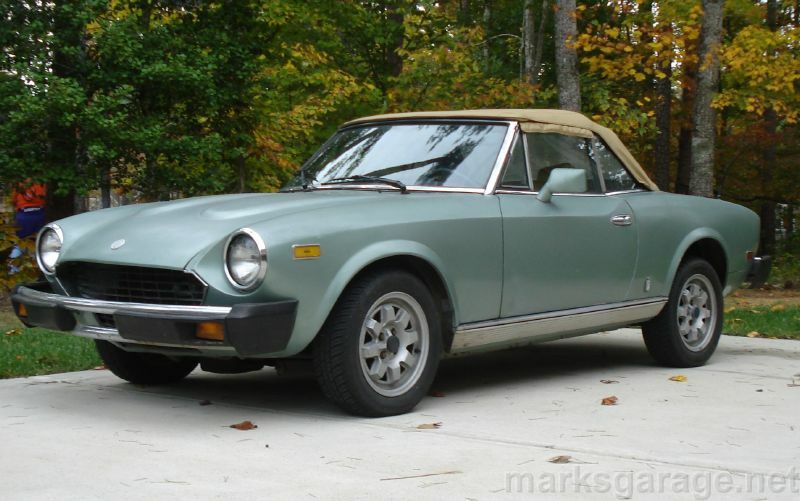 Fiat Spider rear calipers are hard to find. 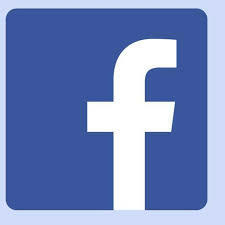 Most companies that advertise them don't really have them - they rely on you to send in yours for the rebuild. If yours is not rebuildable, you will pay a lot more for their "rebuilt" caliper. Due to the incorrectly repaired bleeder screw, at least one of my calipers would not be accepted for core value. I did some homework and found that other year and model Fiats use the same calipers as the Spiders. Turns out the rear calipers also fit Fiat X1/9 models. I found one listed locally and called the owner, who was parting out the car. I drove to his yard with a bag of tools, gave him fifty bucks, and removed the four calipers. The front calipers are different, but I took them anyway - the hardware is the mostly the same (anti-rattle springs, wedges and small cotter pins). Hoping to rebuild the rear calipers, I tried taking them apart, but the pistons were stuck and wouldn't budge. I soaked them with WD-40 penetrant for over a week and still couldn't free them. I even tried 90 psi of air pressure. I did some online shopping and found a rebuilt pair in stock and bought them. The units themselves were $100 each, and the cores from the X/19 were worth $50 each in core value. 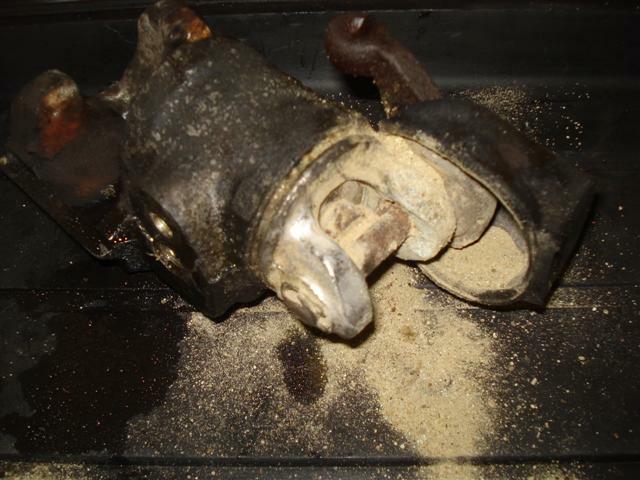 The front brake calipers were fine, but the right-side steel brake line had previously been "repaired" with a compression fitting placed between the original metric line and a standard-flare line, with an adapter on the other end. There was also a brake line that was twisted and kinked. 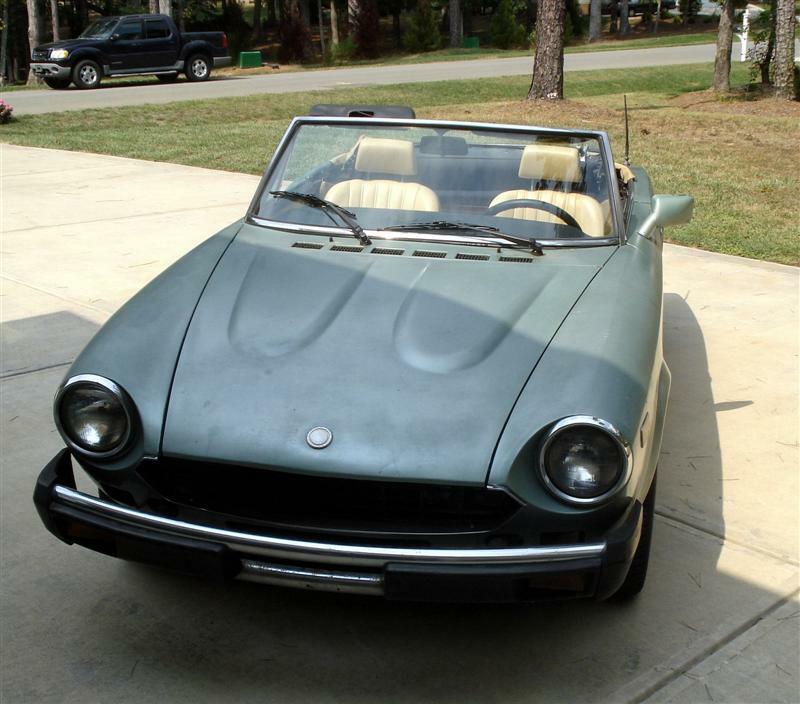 Whereas earlier Fiat 124 models had the more common double flare brake line, Spiders from about 1979 to 1985 use a bubble flare. The ends are an odd metric size (10mm x 1.25). This 4.75mm O.D. brake line used by Fiat has a tiny inside diameter. Several companies offer a steel line kit, but no-one had them in stock. I placed an order for them, and they arrived two months later. The four brake caliper hoses are inexpensive and should be replaced. Remember to replace the copper washers, too. 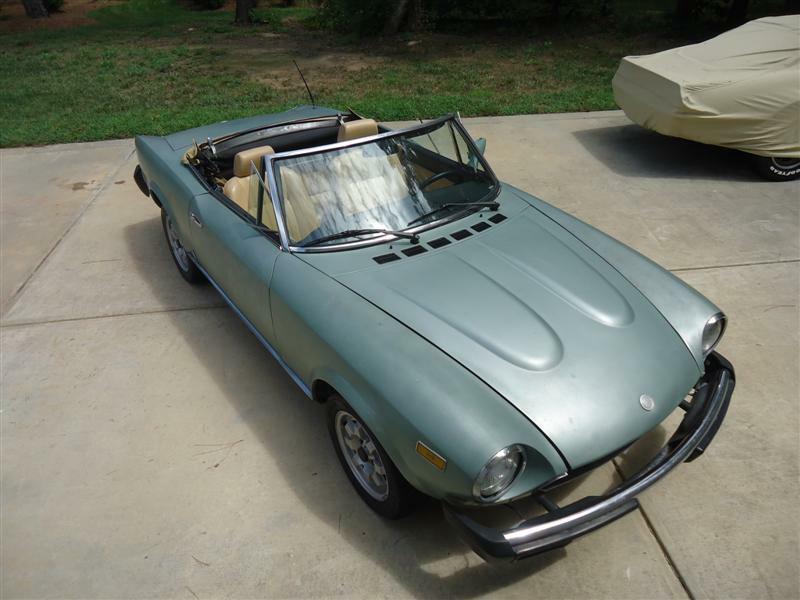 The Fiat Spider master cylinder needs to be bench-bled, which is not easy to do because of the remote reservoir. I mounted the new master onto the power brake booster and had a 2nd person pump the brake pedal from inside the car. 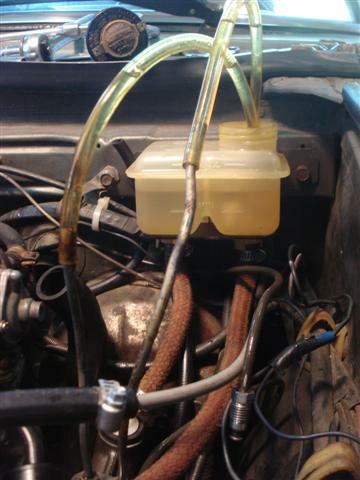 A new master cylinder cost about $30. The next step was to bleed the calipers. Before this is done, you need to know that Fiat Spiders have a unique feature called a brake action compensator, which is mounted on the right side of the rear axle. It works as a simple anti-locking device - if a rear wheel comes off the ground, the compensator does not allow brake fluid to the rear calipers, preventing loss of control. 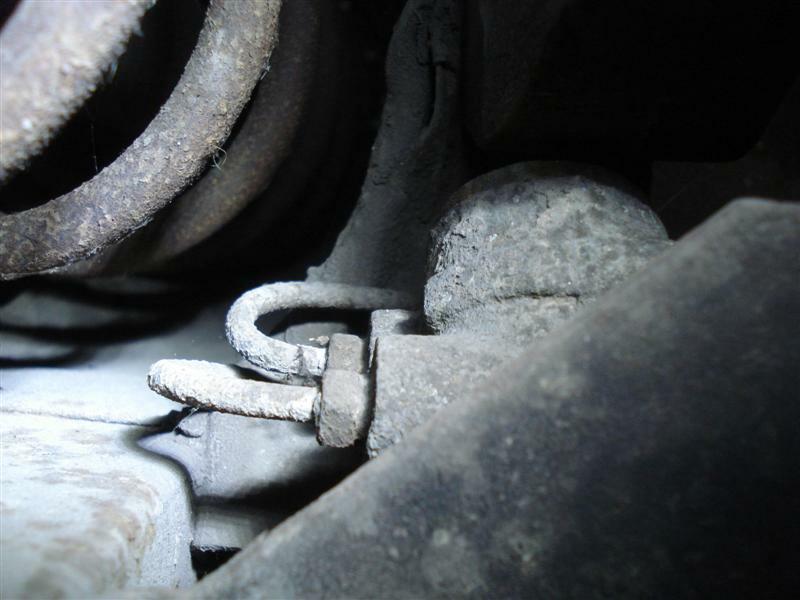 While bleeding brakes, if the car is on jack stands, the axle must be raised up to allow brake fluid to pass through the compensator, or rear caliper bleeding cannot be done. 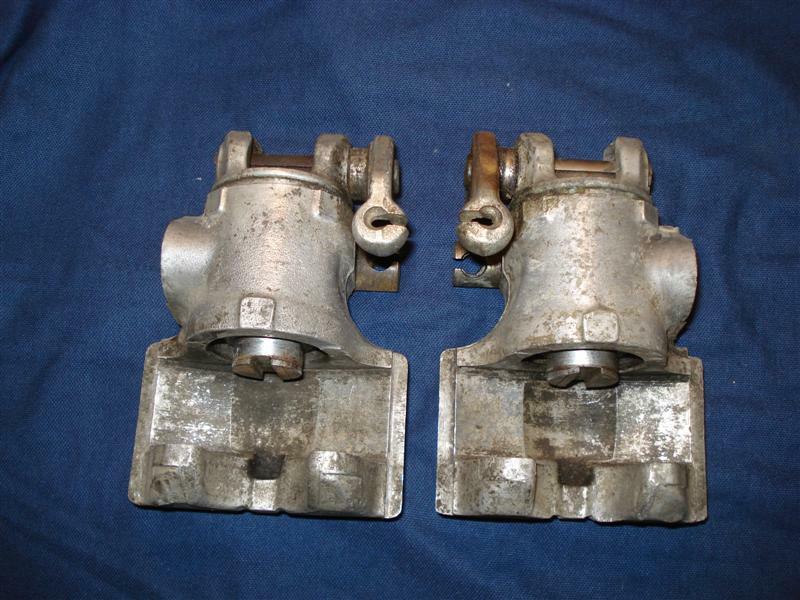 Starting at the right rear, then left rear, then right front, then left front, the caliper bleeding was accomplished. It took quite a few times around to get any sort of pedal pressure. I've been told that the Spiders have a spongy pedal to begin with, so it'll never be rock hard. I've also heard Fiat Spider owners keeping the power brake booster hose disconnected and plugged, which will give a harder pedal.